I have encouraged institutional investors and regulators to consider advocating what is known as "proxy access." This means that a shareholder, or a group of shareholders, who (i) own a modest, minimum threshold of shares (say 3 per cent, although the percentage could be higher or lower, or floating, depending on the size of the company); (ii) for a period of time (say three years, although the time period could be shorter); (iii) can select up to 25 per cent of proposed directors, of the total board size, in an uncontested election (meaning a change of control is not desired by the shareholders) in a given year. When shareholders "select" their nominees for the board, these directors would be alongside, in the management proxy circular, in alphabetical order, with profile parity (short bios and areas of competency), the management slate of directors. Management would be obliged to include shareholder-nominated directors, at a cost to the company, not shareholders, if the above ownership and time requirements are met. There would be no costly proxy battles or dissident slates. There would be no undue influence by management to marginalize shareholder-nominated directors within or outside of the proxy. Rules of the road will be set. Then, shareholders get to decide, as they should, on the best directors from among the management-proposed and the shareholder-proposed directors. Ideally, the selection should be as blind or neutral as possible. The focus should be solely on the qualifications, competencies and track record of the proposed directors for election at that company. May the best directors win, as should be the case in any election, versus a slate of management-nominated directors, which is the case now. Under this new regime, there will be winners and losers. The practical effect may be that legacy or unqualified directors may withdraw from this scrutiny, as Canadian Pacific directors did at the time of shareholder Pershing Square's involvement. This is not an undesired outcome and creates a market for the most qualified directors to rise to the top. When proxy access was proposed by the Securities and Exchange Commission (SEC) in the U.S., management and lawyers who work for management used shareholder money to fight proxy access proposed under Dodd Frank, and won in the U.S. Court of Appeals, on the basis of an inadequate cost benefit analysis. Canadian investors and regulators should learn from this experience. Proxy access now is left to companies on a one-off basis, rather than being system wide. Meaningful proxy access has only occurred at a small number of companies as a result. The SEC should revisit proxy access. Industry Canada is currently looking at implementing proxy access at the 5 per cent level for all federally incorporated companies. 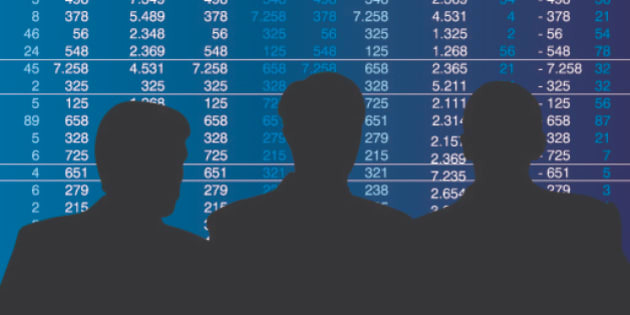 Opponents to proxy access argue that shareholders selecting directors will propose special purpose directors or directors who lack the background or experience. The evidence is the opposite. Shareholders are better at proposing directors who have the shareholder track record and industry expertise that the current board lacks. Recall Canadian Pacific, where not a single director possessed rail experience prior to shareholder involvement. There are other examples at Hess, Office Depot, Darden, Bob Evans, Abercrombie and Occidental Petroleum (see Field Experience Helps Win Board Seats), where shareholder-advocated directors were either better than incumbent ones, or caused the renewal of management-advocated ones. A director qualification dispute is welcome and will focus the lens on competencies of directors, including industry expertise, which is a good thing. Ann C. Mule and Charles Elson report in "Directors and Boards" that "One study concludes that more powerful CEOs tend to avoid independent expert directors." Herein lies the real resistance to proxy access: Management does not want it, and, the record shows, will fight vigorously to resist it. Management-retained advocates hired to oppose proxy access should disclose whom their client is. Directors however, when deciding to support proxy access, or not, should not be beholden to management, nor their advisors, nor act out of self-interest in entrenching themselves, but should be guided only by the best interests of the company, including its shareholders. There is evidence that the market values strong proxy access positively, leading to an increase in shareholder wealth. If a director possesses the independence of mind, and the competency and skills to serve on the board, they should welcome proxy access. It will mean that the under performing directors on the board will be ferreted out, and current directors can avoid this uncomfortable task. Shareholders and the new competitive market for corporate directors will do it for them.